A beautiful Beasts of the Mesozoic Fans’ Choice Dromaeosaurus albertensis replica. An articulated model of Dromaeosaurus albertensis from the Beasts of the Mesozoic range. 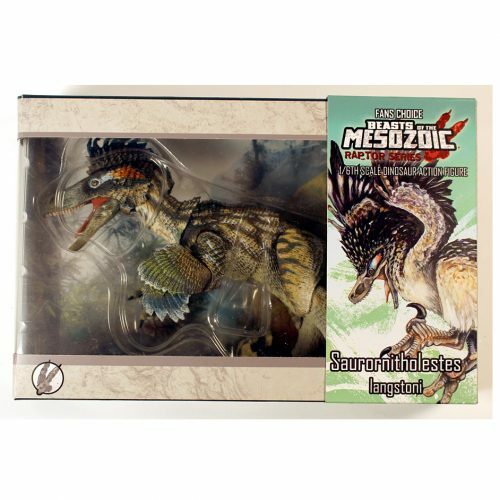 The Beasts of the Mesozoic Fans’ Choice Dromaeosaurus albertensis 1:6 scale figure. 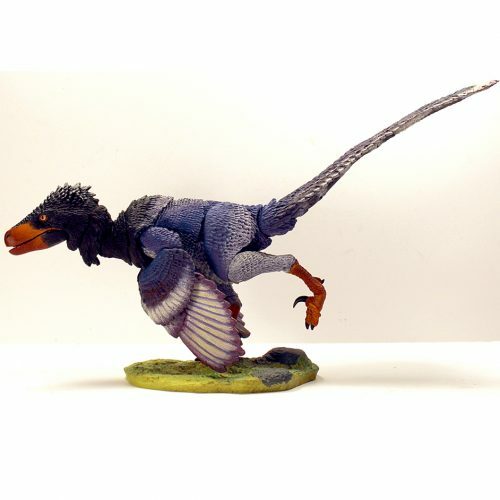 A fantastic, hand-painted Beasts of the Mesozoic Fans’ Choice Dromaeosaurus model. The Dromaeosaurus albertensis has 26 points of articulation and is supplied with a display base, posing rod with two support options along with interchangeable, closed running toes and a unique background display insert. The superb Beasts of the Mesozoic Fans’ Choice Dromaeosaurus albertensis.